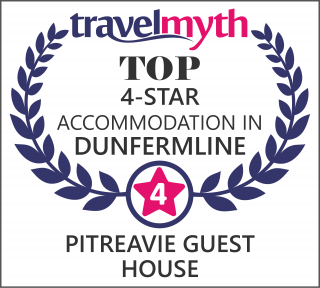 The Pitreavie Guest House appeals to guests looking for a home away from home while staying in Dunfermline. 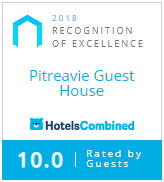 Whatever reason you visit us you can be sure of a warm and friendly Fife reception. We offer a high standard of Bed & Breakfast accommodation to all our guests. And on the ground floor we have a twin room with en-suite. All our bedrooms have flat screen televisions. A generous Superior Twin room with en-suite facilities and a television with the Freeview service. A lovely Superior Kingsize room with en-suite facilities and a television with the Freeview service. A generous Superior Kingsize room with en-suite facilities and a television with the Freeview service. A generous Superior Single room with en-suite facilities and a television with the Freeview service.